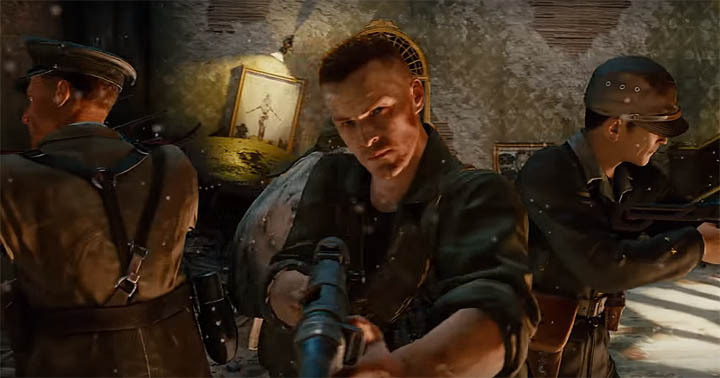 We know that Zombies Chronicles remains true to the original Easter Eggs from WaW, Black Ops 1 and Black Ops 2 but to bolster the hunt, Treyarch have also added a large number of smaller Easter Eggs to the remastered maps such as the blood fountain in Verruckt, the secret song on Nacht der Untoten and the mysterious cogs in Kino der Toten. In this post you'll find a complete guide to all of the NEW Easter Eggs that have been found together with gameplay or screenshots to guide you along. Alternatively, if you're interested in the original "main" EE's then I recommend you check out the links at the end of this post. The outside fountain in the middle of the Verruckt metal asylum was original part of a small Easter Egg. Players who managed to glitch their way out of the map were able to claim an LMG from the base of the stone water feature. In the remastered version of Verruckt, Treyarch have changed the fountain slightly. 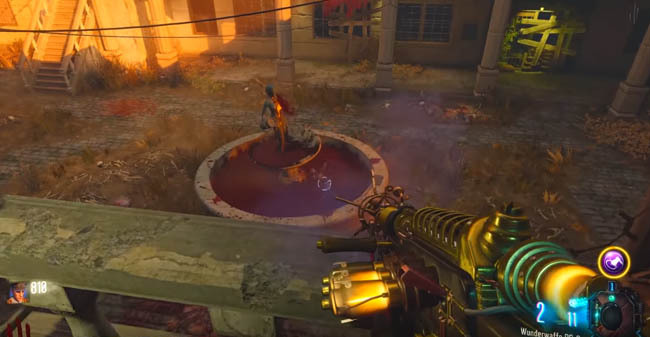 Not only does it contain blood but shooting the fountain with an explosive weapon such as a rocket launcher (or even DG2 works), causes the fountains statue to puke up blood. Nice! The original Verruckt map had the classic “toilet” easter egg that was activated by flushing the left hand toilet three times. In the remastered version of Verruckt an additional EE is initiated in a similar manner. Rather than flushing the toilet three times, flush the right hand toilet 9 times, the middle toilet 3 times and the left hand toilet 5 times. To spell 935. If you make a mistake simply keep flushing until a toilet actually flushes - confirming the sequence has reset. Next, go to the nearby Wunderfizz machine and interact with the Samantha doll on the floor to the left. This starts the hide and seek hunt, similar to the other musical EE’s in Zombies Chronicles. As before, listen carefully for the jewelry box music and home in on the dolls one by one, shooting them and moving on to the next, until all have been found. Finally return to the Wunderfizz and interact with the doll once more to spawn a max ammo and play the lullaby song. Play the hide and seek mini game with Samantha. Find the small Samantha doll which is on the floor in front of the RK5 wallbuy, beside the dead body. Follow the music around the map as it gets louder and louder, until it is as loud as possible. At this place on the map, look for a small spinning Samantha doll and shoot it. 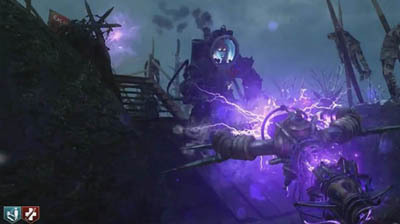 Doll's appearance is similar to the one in the music box from Der Eisendrache. The doll is almost always outside of the map boundary so look through windows, on to of crates, the cracked ceiling etc. Repeat above step for 5 or 6 dolls until you get an audio cue. Now return to the original Samantha doll by the RK5 and press this. The doll raises up, and a secret song starts to play. A nice little max ammo will also drop. E.g. Interact with third speaker once, first speaker twice, fourth speaker twice etc..
Go to the MPD (pyramid) and shoot the 7 dolls around the pyramid. Six years ago, not long after the Moon map released for Black Ops 1, Mcsportzhawk made a speculative video about a mysterious Space Dog creature that would sometimes appear in a spacesuit after round 30. There was of course no proof that this EE existed but it was fun debunking it at the time. As a throwback to the original rumour, Treyarch have included a reference to “Space Dog” in the remastered version of Moon. If you go to the moon base and explore the three levels of the laboratory, you should notice the red and blue dog bowls on the floor, with S & D written on the side. Additionally, players can get the space dog to spawn outside of the map and watch aimlessly as the little pooch jumps around in the distance. 1. Get the wave gun and use it for the steps below. 2. Kill one dog in Area 51 (dog round). 3. Shoot the dog toy next to the red and blue dog bowls in the space station. 4. Shoot the teddy bear on top of each of the four mystery box locations (move the final box if necessary). 6. Use the hacker to hack the dog bowls. 7. Get zombie souls to fill up the dog bowls. 8. Should hear a dog bark to confirm all steps are done. 9. The dog is outside the map near the teleporter, or mule kick. 1. Throw Gersch device near Samantha dolls. On a pipe below Pack-a-Punch. Stand next to the fence/railing in front of PaP, and look down. On a ledge, high up, across from the lunar lander near Widows Wine. Look across the map from the stairwell leading up, towards the building. Use a sniper scope if stuck. Overhanging rafters, high up, near to Stamin-up. Look towards the rafter closest to Stamin-Up machine. It’s located on the floor in the lower section outside of the Pack-a-Punch area. Interact (press square) with the doll to start the next step. Go over to the Casimir mechanism location and shoot the spinning dolls found there. Finally, go back to the first doll location (Pack-a-Punch area) and shoot the spinning doll. A max ammo will spawn in and the secret lullaby song will play. In the spawn room of Ascension there is a new radio on the floor, tucked in the corner by the barrels. It’s a short audio dialogue from Dr Monty explaining the identity behind one of Black Ops 1’s longest running mysteries - who is the bald man in the poster? From the outside area, on the way to the rocket launch building (PaP), look up towards the building shown in the image above. The outline of the Shadow Man is clearly visible against the bright window panes. He even moves position from round to round and we’re still not sure if there’s more to this one or not. Everyone remembers the original musical Easter Egg on Shi No Numa which was triggered by interacting with the telephone in the “Comms Room” wooden hut. It played the classic track “The One” by Kevin Sherwood and Elena Siegman. This version is of course still in Shi No Numa. Another of the hide and seek Easter Eggs, this time on Origins and for the full “Remember Forever” song shown in the Zombies Chronicles trailer. It’s a splendid rendition of Samantha’s lullaby and the perfect fit for Origins. Shoot the panel behind each coloured orb with the appropriate staff (must shoot the panel, not just the orb). Yellow with wind, red with fire etc. Behind the main stage there are a series of cogs that were not present on the original Kino map. More information will appear here soon. This post will be continually updated with more easter eggs as they are discovered..